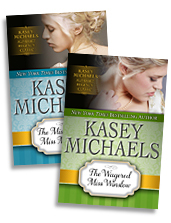 Kasey Michaels is the New York Times and USA Today bestselling author of more than 110 books (she doesn't count them). Kasey has received four coveted Starred Reviews from Publishers Weekly, three for historical romance, The Secrets of the Heart, The Butler Did It, and A Gentleman By Any Other Name, and for the contemporary romance Love To Love You Baby. She is a recipient of the RITA, a Waldenbooks and Bookrak Bestseller award, and many awards from Romantic Times magazine, including a Career Achievement award for her Regency era historical romances. 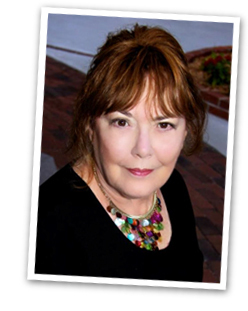 She is an Honor Roll author in Romance Writers of America, Inc. (RWA), and is a past president of Novelists, Inc. (NINC), the only international writers organization devoted solely to the needs of multi-published authors. Kasey has written Regency romances, Regency historicals, category books including novellas and continuities and a few series "launch" books, and single title contemporaries. She has coped with time travel, ghosts, trilogies, the dark side, the very light side, and just about everything in between. Hers is also the twisted mind behind her ongoing Maggie Kelly mystery series starring a former romance writer turned historical mystery writer whose gorgeous hunk of a fictional hero shows up, live and in color, in her Manhattan living room  to melt her knees, to help her solve murders, and to leave the top off her toothpaste. And, says Kasey, she's just getting started! When our oldest son was eight years old his kidneys failed. I had two other young children at home; I was pregnant. And here I was, on the Critical Care floor of a children's' hospital seventy miles from my husband, my other children, surrounded by sick children, injured children, dying children ... and sleeping on a cot beside my own very ill son. For weeks on end. For nine long months, until his first transplant (and three weeks after the birth of our daughter), I performed dialysis on our son at home and in the hospital. I rode in too many ambulances, I watched too many children die, I sat, unable to sleep, in the Parents Lounge with other mothers going through their own hells  and I noticed something. The nurses who lived with all this pain and suffering every working day, all seemed to have romance novels stuck in their pockets as they rode the elevators to the lunch room in the windowless basement. The mothers hid inside the pages of romance novels when they couldn't sleep, knowing they could be interrupted when the words "Code Blue" blared over the loudspeaker, knowing one of those calls could be for their child. A librarian friend kept me supplied with romance novels  I had a special small suitcase for them and lugged it to the hospital with me along with my pajamas, maternity clothes, and stash of cookies. We mothers would read, share, trade the books that kept us sane. We all lived in a real world in that hospital, a world too real; we all functioned at the highest level, because there was no choice but to function, to persevere  and we all occasionally escaped that world into the hope and happy endings of romance novels. Those moments of "escape" made it easier, never easy but easier, to deal with the real world. I'd written my first book, THE BELLIGERENT MISS BOYNTON, just before our son's kidney failure. It wasn't a career move, it was just an idea I had and wrote with little thought to a career. I wrote my second book during those long nine months, staying awake all night twice a week, to scribble it in longhand at the dining room table. A Regency romance, a very funny romance, this book became THE TENACIOUS MISS TAMERLANE  and, looking back now, as I write this, I guess the word "tenacious" was, sub-consciously  a pretty good choice. A quarter of a century later, I am writing my 100-and-some novel for these same people. I want to believe, do believe, I bring smiles, I bring hope, I bring the CHANCE of happiness; not a promise, not a certainty, but the CHANCE. I know, have learned, that one of the best ways to keep your sanity is to escape reality every once in a while. Hope. A smile. A few giggles. A guffaw or two would be nice. That isn't to say that, out of more than 100 books, I haven't written some darker ones. I have, when an idea hit me and I couldn't let it go until I'd written it down. But even my darker stories end with hope  I don't deal with unhappy endings in my books; there's enough of that in real life. Who has had the greatest influence on your writing? Who inspires you?